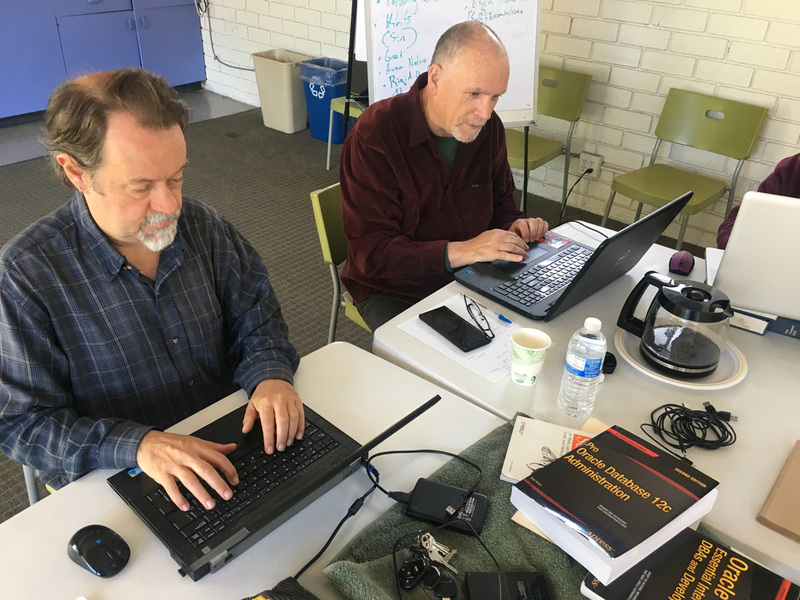 [Episcopal News Service] When Dennis Doherty found working from his West Los Angeles home too distracting and isolating, he went to coffee shops and even the local IHOP. Then he heard about The Divine Office (TDO) at St. Augustine by-the-Sea Episcopal Church in Santa Monica, California, a few miles away. It blends monastic-style spirituality and the secular phenomenon of creative coworking spaces. The Rev. Katie Cadigan, associate rector and TDO founder, views it as a “micro-monastic community” operating in underutilized rooms on St. Augustine’s campus. With growing numbers of people working remotely, Cadigan hoped the church’s location – a few blocks from the Pacific Ocean – and its available space would draw from the area’s boom in younger, home-based professionals. 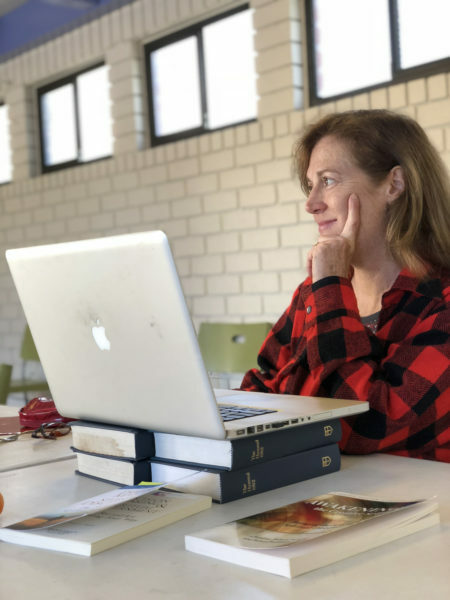 Funded, in part, through a $40,000 Episcopal Church New Church Start grant last year, TDO is “like a WeWork or like the people who work in Starbucks independently,” but whose participants pray several times daily, Cadigan said. “This is kind of like a day monastery, where people will come to work and worship,” she said. 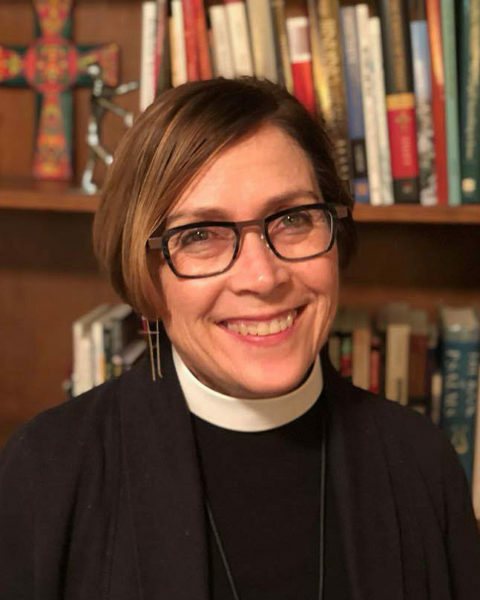 Los Angeles Bishop Suffragan Diane Bruce, a TDO adviser, said the idea immediately intrigued her. 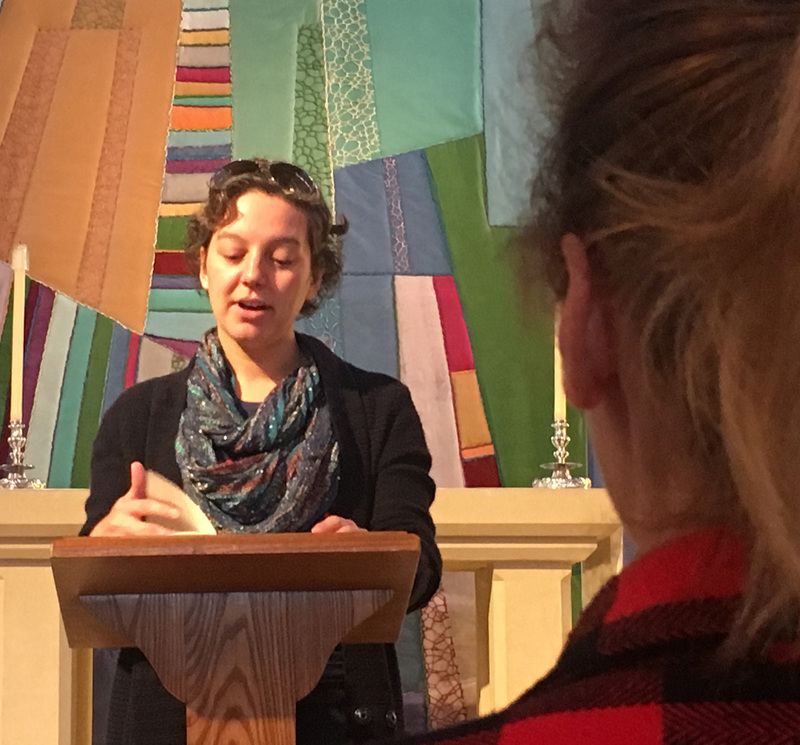 “People working from their homes can be and feel so isolated, which is the opposite of what Jesus modeled in being in community,” she told ENS. The Rev. Thomas Brackett, Episcopal Church manager for church planting and mission development, said TDO’s application captured the imagination of reviewers from the Genesis Advisory Group on Church Planting by saying basically, “We believe that a rhythm of life blesses anybody who engages this. And that it’s a work in progress. “They said from the very beginning, we don’t know what that is going to look like yet, but if you are willing to venture with us, we’re going to figure it out and we will let you know what we learn,” Brackett said. Doherty is among at least a dozen TDO “co-creators” who meet once, sometimes twice weekly and who take turns leading intervals of morning, noonday and closing prayers. While at times working with laptops on card tables and spotty internet has a rough-around-the-edges feel, the collective wisdom of the group of writers, filmmakers, editors and others is rewarding, said Giordano, who is married to actor James Giordano, of “Twin Peaks” fame. Currently, the group meets on Thursdays and some Tuesdays. Eventually, the goal is to expand to five days a week. The days begin with 9 a.m. Morning Prayer and have fallen into a rhythm of morning prayers and a lifting up of daily intentions. Noonday prayers are a “kind of check-in, a where we’re at right now vis-à-vis what we’d prayed for in the morning … and people are in gratitude,” Giordano said. Lunch is fluid; some people bring sack meals. Others walk the four blocks to the Santa Monica Pier or to local restaurants. Closing prayers are typically around 4 p.m., “the group decides when … and the prayers are more around reintegrating with the world or family or what’s next on the horizon,” Cadigan said. The TDO’s pattern is a modern-day take on the traditional daily round of prayer known as the Divine Office, the Liturgy of the Hours, or the Daily Office, which has been practiced since the earliest days of the Christian church. The practice has its roots in the ancient Jewish custom of offering prayers and psalms periodically throughout the day. Doherty, a distributor for restaurant environmental waste management systems, said he usually schedules his workweek around TDO, and spends his time there invoicing clients and responding to emails. Cadigan, 56, began the TDO startup in August 2017, recruiting Giordano, 53, and Doherty, 64, both St. Augustine’s members. There are also physical plant and financial issues: a future building renovation is planned, and plans are in the works for that more reliable internet access as well as a campaign to raise the additional $220,000 needed to finance it all. Eventually, a membership fee will be charged to help defray those costs. This “unexpected rhythm is … stretching us to conceive of membership as something far broader than initially assumed. And a new dimension of discernment opens up for us around how we go about creating a cohesive community with far wider and more fluid edges than anticipated,” she said. This is an absolutely wonderful idea. If I did not live in México, I would be right there. As a retired person it also appeals to me very much, a place of prayer and silence, and also to check emails and conduct business online. Congratulations. The Spirit is with you and will provide many wonderful moments and opportunities. Keep an eye on our social media. Our content is light as we’re building. Thanks! What a wonderful thing to see happening — thank you for sharing this news. Please keep us updated as The Divine Office evolves! Keep an eye on our building social media. I find myself wondering how this delightful TDO concept might look within a ‘Seniors” or ‘Retirement’ community…something organic & not rigidly defined…? Love this. I live in atlanta, but will be in LA next week. Would love to stop by. Would that be ok? I recommend dropping a note to Review Katie at katie@saint-augustine.org for more info. We have a very similar thing here in Cambridge, UK for students in a church that is no longer used for worship. They call it “the Scriptorium.” They have converted pews into workspaces and offer morning prayer and then 4 writing sessions of 90 minutes with breaks for tea and lunch. It has grown very quickly in the past 1.5 years and proved popular. The theological perspective is more conservative in nature (which shapes the lunch discussions which are moderated), but it is overall a theologically diverse group and open. I have sometimes worked there regularly on my own doctoral dissertation and found it useful. Lunch is free once a week and other days people bring lunch. I think it is a great model for collaborative work. https://www.christianheritage.org.uk/Groups/282343/Home/Scriptorium/Scriptorium.aspx. And I saw a Lutheran experimental church plant called St Lydia’s also has a co-working space (for which people do pay a subscription): http://stlydias.org/co-working/.